Project managers work in a dynamic role. It can change from day-to-day. For this reason, the qualities of project managers who excel are diverse. Because project managers are responsible for doing so many different things, their job descriptions aren’t simple. They need to be good at both the technical project management work, but soft skills are critical as well. The diversity of the work keeps it fun, challenging, and interesting. But it also requires that project managers have a variety of traits in order to excel. If you’re not working as a project manager, but have been curious about what it takes to be a project manager, this list is for you. If you’re a new project manager and want to know the qualities of a great project manager, this list is for you, too. Read on to find out 10 essential qualities of great project managers…. Great project managers understand the many types of communication needs involved in their projects. They communicate with team members and stakeholders and keep everyone informed and up-to-date. To be a great project manager, you need to ask questions to ensure clear and thorough understanding. You need to listen. And you need to share information with the team and other stakeholders. Excellent communication skills are a necessary trait for being a great project manager. Great project managers know how to tailor messages according to the audience. Knowing when to communicate, what to share, and how to present it is important. You need to know when to use email, or when it’s better to pick up the phone and call. You must know how to be diplomatic and take politically sensitive situations into account. All team members must work together to successfully deliver the right solution to meet the customer’s needs. The project manager must understand the roles and responsibilities of all team members and the dynamics of the team. As the project manager, you must bring the team members together in a unified purpose all working toward a shared goal. Leadership skills such as consensus building, motivating teams, influencing team members and stakeholders will all serve you well as a project manager. In most organizations, the project manager has no formal authority over team members, who usually report to a different functional manager. Therefore, the project manager must be skilled at motivating the team to complete activities critical to the project success. The project manager must be able to inspire the team and create a shared vision for success. The project manager also supports the team and ensures they have everything needed for success. There will be times when team members have conflicts. Or the customer has requests that conflict with previously agreed upon decisions. Project managers must be able to negotiate and help resolve conflicting or differing views to keep the project moving forward while maintaining harmony among the team. team can lay out the perfect schedule, but there are often unexpected events and shifting priorities. The project manager who can meet these challenges with confidence and a calm demeanor will be the most successful. If the project manager shows signs of stress and anger at each unexpected change, it can have negative impacts on the team. Leadership will doubt the project manager’s ability to lead the project, and the team could have lower morale. The project manager needs to have the team’s trust. When you tell your team you’ll do something, it’s important to follow through. 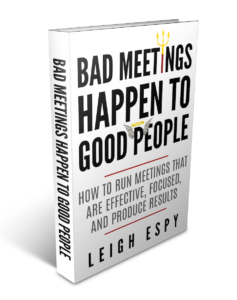 Additionally, great project managers own up to mistakes and admit when they’re wrong. They don’t try to find others to blame for mistakes or errors. They take ownership and move forward. This is an essential quality of great project managers. Early in my project management career, I was single with no children. I worked for a startup and thrived on the energy. I happily put in long hours, and expected the same from my team. But after marrying and having a baby, I found myself still working 60+hours per week. My husband called me one night at the office to tell me our daughter had taken her first steps. I was heartbroken that I was missing these milestones. I became much more empathetic to team members and their needs outside of work. Understanding the needs of your team, and their drivers and emotions, is an important quality of great project managers. It’s not sustainable to expect your team to work long hours and stressful schedules. Treat them with respect, and they’ll respect you more for it. Great project managers are willing to step up to challenges and solve problems. 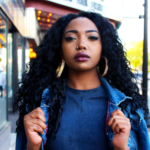 Whether it’s bringing her perspective and experience to a challenge or seeking input from the team, a great project manager must know how to address and solve problems. Projects are not executed in completely controlled and isolated environments, and problems arise. As the project manager, you might utilize collaboration and problem-solving tools and techniques, or identify solutions based on experience. The great project manager approaches problems with confidence and seeks ways to resolve them, rather than avoiding problems. This is one of the qualities of project managers you’ll want to improve if you’re weak in this area. Most project managers don’t lead only one projects at a time. It’s more common for project managers to lead multiple projects at once. It’s critical to have a handle on everything you’re responsible for. You must stay focused on goals and the big picture, be able to prioritize and know what’s most important in the moment. At the same time, you can’t lose sight of everything that needs to be done. Being well-organized is among the qualities of project managers that you’ll need to continually manage to perform well. Finding a system that works well is key. This is one of the qualities of project managers you’ll want to stay on top of. Even if you have all the qualities of project managers listed above, it’s still important for you to have competence in the project management discipline. 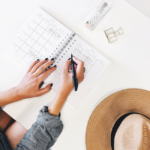 Creating timelines and budgets, tracking to milestones, and ensuring the requirements are met are equally as important as managing customer expectations. Great project managers master the application of project management principles and techniques. If you haven’t mastered all the qualities of project managers I’ve listed above, don’t give up hope. They can be learned and improved. It’s the diversity of project management that makes it so rewarding as a career. And once you’ve developed these skills in your project management career, think of all the possibilities open to you from there! What have I missed that you think is just as critical? Let me know in the comments! 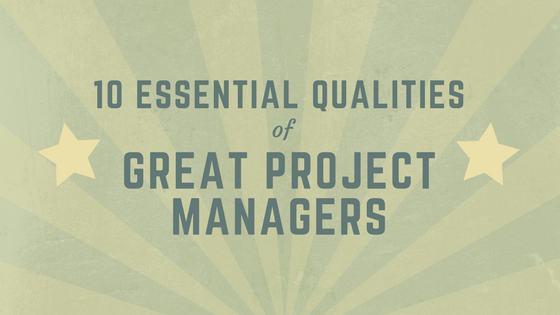 Scroll down to download this infographic “10 Essential Qualities of Great Project Managers”. Print it out and start strengthening these skills to grow in your project management career!